It’s woman crush Wednesday again, and I want to dedicate this post to someone who has the same first name as me–Danielle Fishel. She is everything I aspire to be. Danielle Fishel grew up in front of my eyes on Boy Meets World, and now she is raising a family on her own sitcom, Girl Meets World. 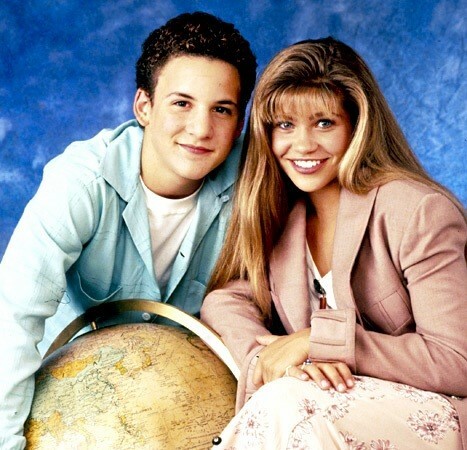 I remember watching Danielle as a little girl portraying the character of Topanga, a strong female who does not let men push her around, and I wanted to be just like her. Outside of her role as Topanga, Danielle also possesses this personality trait in the sense that she knows exactly what she wants and won’t let anyone get in her way. Along with being an actress, Danielle is also an author. Her recent book “Normally, This Would Be Cause for Concern: Tales of Calamity and Unrelenting Awkwardess” is about her life and the embarrassing things that have happened to her. I appreciate this book because it’s different than most biography’s we see. While it shows some detail about her life, it’s more about the events that most celebrities d don’t share for others to read. That exact reason is exactly why I feel it will do better than most books. It will allow the readers to connect to Danielle, and see that she is a normal human being just like us. Danielle’s style, hair, and even her voice have me completely obsessed over her. I feel so special sharing her name. I have sent her several Facebook messages saying my dream is to one day work along beside her–whether that is editing her next book, acting alongside her in her next big venture, or hosting a show next to her, my dream is to call her my co-worker and friend. She seems so down to earth and a really awesome person inside and out. She’s strong and independent (and an animal lover, I might add) and super pretty and ughhh she just makes me so happy!